If you’re like most of the world and missed out on Google I/O 2012, you can now catch up on all the geeky fun by watching the entire Android Sessions playlist. Many of the videos had been available before today, but now every single one is live for developers everywhere. While you’re at it, you’ll want to take a look at the newly redesigned Android developer site. If you’re only interested in a specific topic, Google has also created specialized playlists in the following categories: Design, develop, and distribute. In addition to these videos, Google is continuing to push its Google Developers Live program to rally the community together with weekly Q&A office hours and Friday app reviews. All in all, even with Apple’s wild success as a strong and unified platform, Google is creating some admirable initiatives. Even with insane OS and device fragmentation, Android has a habit of trying to be friendly. 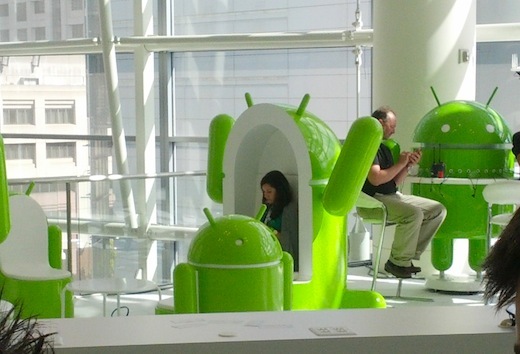 For more, check out: “Latest version of Android, Google’s Jelly Bean 4.1, goes open source.” Also, if you didn’t see the news from Google I/O, you can also take a look at our roundups from day one and day two.